Against this backdrop, the Foundation for Achieving Seamless Territory (FAST) and the Center on International Cooperation has been exploring the actual and potential material and socio-economic effects of UN peacekeeping missions in conflict-affected urban environments, with a particular focus on the departing mission in Liberia (UNMIL). Utilizing fresh perspectives such as urban planning and design, the project has examined the evolving spatial and technological infrastructure of UN peacekeeping; identified concrete opportunities to maximize the positive impact of UN missions on their immediate surroundings; and contributed to a more concrete, practical discussion of sustaining peace, prevention, and cross-pillar cooperation — a discussion that often remains abstract. 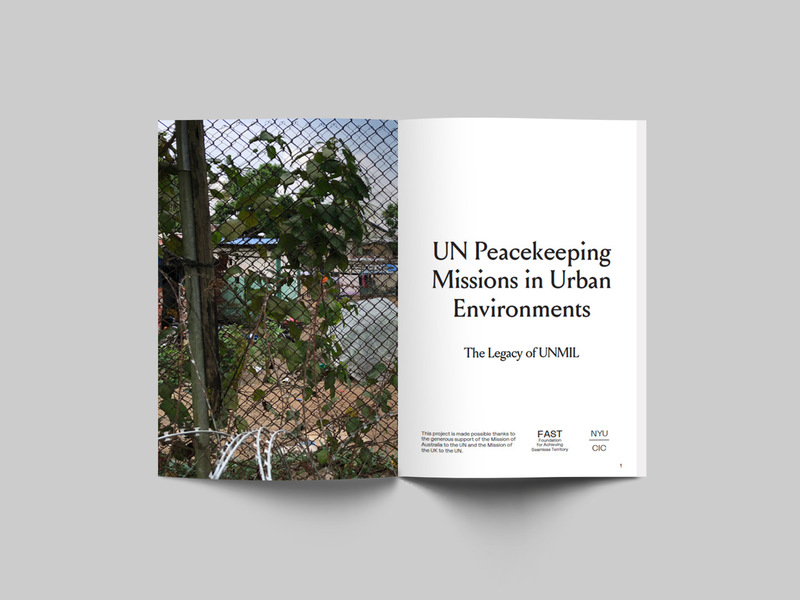 We are proud to launch the findings from this project in a new publication entitled UN Peacekeeping Missions in Urban Environments: The Legacy of UNMIL​. The project and the publication were made possible thanks to the generous support of the Permanent Mission of Australia to the UN and the Permanent Mission of the UK to the UN. Thank you to Paige Arthur, Matthijs Bouw, Henk-Jan Brinkman, Shaney Pena Gomez, Gizem Sucuoglu, Jilly Traganou, and Joel van der Beek, for their constructive comments and support, and to the Institute for Public Knowledge (IPK) at NYU for hosting our workshops and research groups.